As a vehicle owner, it’s important to keep up with routine maintenance to ensure that your car continues to run properly and at peak performance. Your vehicle is comprised of many different systems, and it’s integral to pay close attention to each. 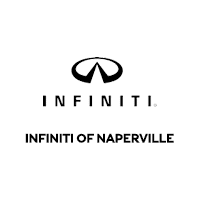 At our INFINITI dealer serving Naperville, we believe your vehicle’s exhaust system is one of the most vital. If you desire an exhaust system check for peace of mind, the friendly and knowledgeable staff at our INFINITI service center near Naperville can help! Call (630) 884-5799 to schedule a service appointment with us today! One of the most dangerous ways to tell if there’s a problem with your exhaust system is a bad smell. When the muffler is working correctly, it will funnel the exhaust fumes outside and away from the vehicle. If there’s a leak or other problem, those fumes could be stuck inside your car. Quite obviously, this is a dangerous problem, as exhaust fumes can be fatal over time. If you smell anything out of place, our Chicago area INFINITI dealer suggests bringing your vehicle in for servicing right away!